Your products have their unique identities and they even have their unique personalities. Don’t believe that? So why do stern men purchase black clothes? Or why do the little or teen girls go for the pink accessories? Your products even have age and they correspond to the age of the buyer. These variable attributes of your products make them appealing for specific buyers. But, if you have done a bit of research on your buyer’s behavior, you already know that. You also know that your BigCommerce store has far fewer visitors than the popular marketplaces which is why you have started to create BigCommerce product feed and send them over to the merchants. But, what if the products that you send do not match the persona of your buyers? 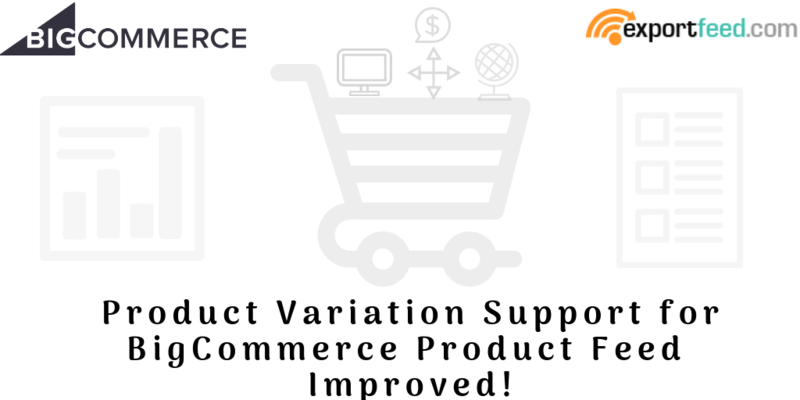 You need to send over all your BigCommerce product variations to those merchants. and we’ve improved our BigCommerce variable product feed support for ExportFeed app.